A packed Feb. 6 community meeting prompted a joint response from neighborhood groups. 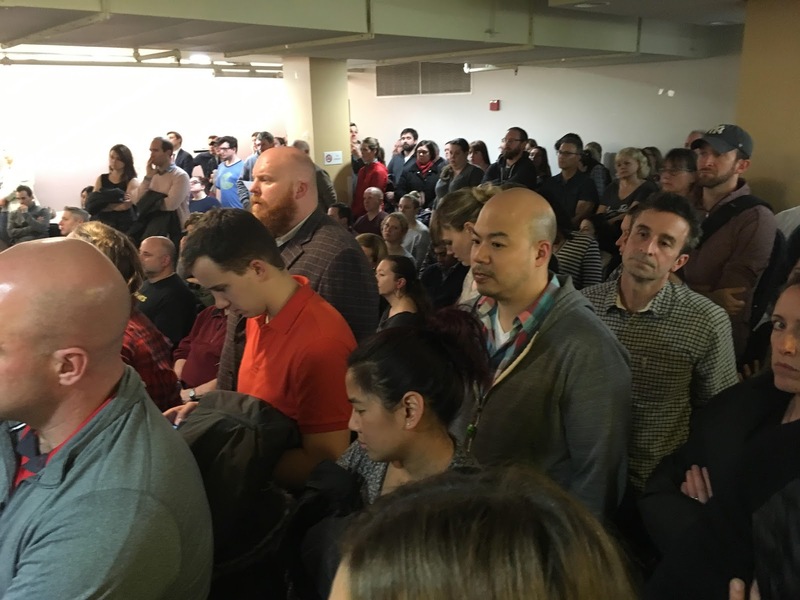 Organizers of the West Town Public Safety Committee thank the neighbors who came to the initial March 4 meeting in the Goldblatt's Building, 1625 W. Chicago Ave. It was an outstanding meeting with all attendees providing insights on their interest and how they thought they could assist our community and the Chicago Police Department in reducing crime. Among initiatives discussed were development of an app that could be downloaded by neighbors and would push out alerts of suspicious person, crimes, etc. Things like this are possible when you have a theoretical physicist and a technology company professional in the room. One volunteer, who could not attend but sent a letter, is a Guardian Angel and wants to help organize "citizen patrols" in the area. Other participants have connections to elected officials and will use those relationships to lobby for passage of appropriate legislation. All in all, it was an inspirational meeting. Election of co-chairs was delayed until the next meeting, as there were people interested in serving who were not able to attend. The framework of the WTPSC calls for two co-chairs: one from north of Chicago Avenue and one from south of Chicago Avenue. One of the chairs will concentrate on federal and state legislation and the other city and county-level dialogue and initiatives. All committee members are urged to attend CAPS and neighborhood association meetings. A big thank you to West Town Bakery, which provided coffee and scones. We had plenty left over, and they were taken to the 12th District where they were enjoyed by 2nd- and 3rd-watch officers. Please let us know if you have any questions, and for anyone interested in participating in this committee, contact us at westtownpublicsafetycmte@gmail.com.